Engage and motivate student with hands-on activities and applications. Physics balances a quantitative approach to physics concepts with easy to access content and real-world examples. 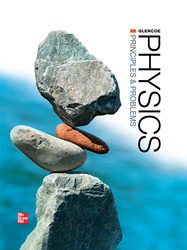 The print student edition of Physics: Principles and Problems helps students of all abilities understand physics. Students have access to proven, comprehensive content and labs with robust reading and math support built-in.